Chris Vermeulen, founder of TheTechnicalTraders.com, joins me for a discussion centered around what the charts have to say about the future of silver and gold in the next 12 months. When the average investor thinks about gold, they may view it as an inflation hedge. Or maybe as crisis insurance. Or perhaps solely as a portfolio diversifier. These are all good reasons to own gold—but those are always good reasons to buy precious metals. Mike Maloney’s reasons to own gold and silver at this point in history are very different than what passes as standard arguments. Given the monetary and economic risks present today, and the types of crises Mike believes are coming, he wanted to share his personal reasons with everyone. And he has a brand new video that details them. 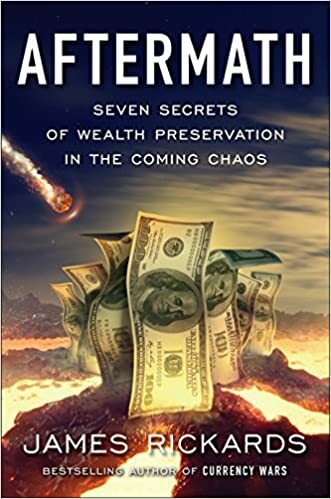 They center around a perfect storm of worldwide trends that are set to explode simultaneously and push gold and silver into hyper-bubbles. Name another asset that has the qualities that silver and gold possess in their ability to opt out of the system. 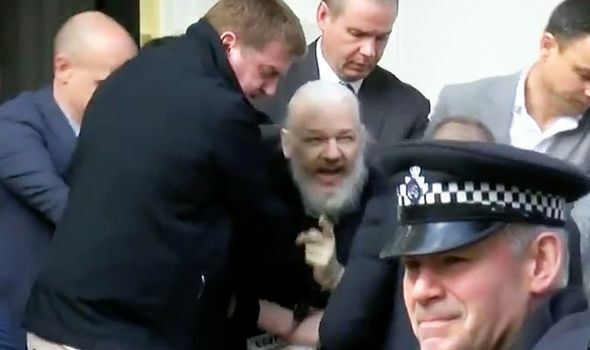 Unless you are living under a rock, then you will of heard that after seven years of hiding out in the Ecuadorian Embassy, Julian Assange , the founder and head of Wikileaks was forced out of asylum and arrested by the UK government. This move, which has been highly anticipated for days caused a sudden and almost immediate flood of emotions, with some supporting the move and others screaming out in rage and shock, as they watched a disheveled Assange being dragged out of the Embassy and thrown into an awaiting police vehicle. His appearance once again raised concerns of his well being and health, as many of his supporters have raised the issue of the damage being done on his mental health over the last seven years of being confined. 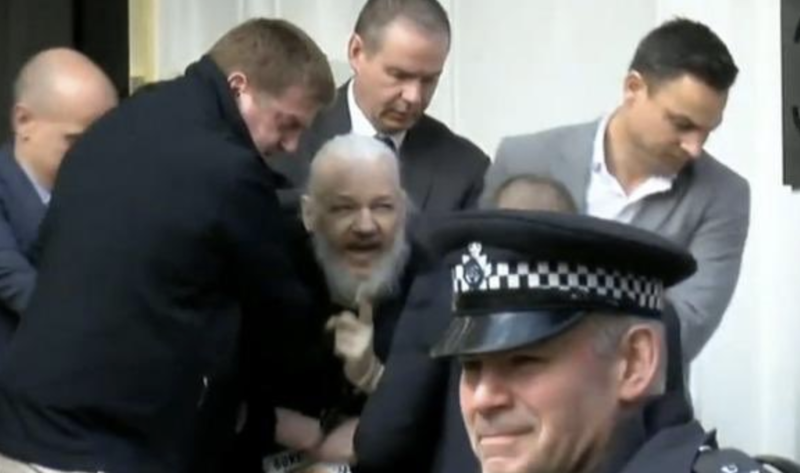 This concerns appeared to be valid, as Julian Assange without a doubt looked absolutely horrible. Whether or not you support Julian Assange and Wikileaks as a whole likely depends on the way the political winds are currently blowing. I remember well the entirety of the Assange saga and the work that Wikileaks has done throughout the years, exposing such things as the "Iraq War Logs" and the "leaked State Department cables". These two very prominent leaks by Wikileaks exposed a deep level of corruption within the US government and thus he became a massive enemy of the United States bureaucrats and the deep state. The first major leak made Assange a hero of the left, as it greatly damaged President Bush and the Republican party of the time, exposing the violent acts of torture that the military was committing overseas. Turning the left who once idolized him, against him. Meanwhile, since Obama was in office and it made the Democrats look negative, Republicans began to embrace Wikileaks with open arms. This flip flopping of support for a journalistic organization that has proven itself to not be partisan should make anyone that has done so hang their heads in shame. Whether or not you believe or don't believe the allegations against Assange in his personal life, is up to you, however, the organization of Wikileaks itself has proven that they are only loyal to liberty and not a political party. 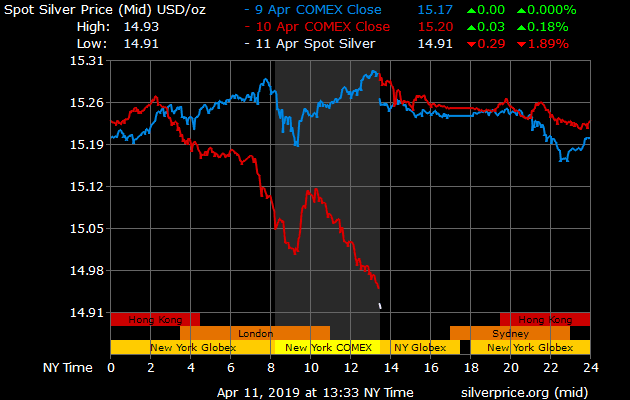 Returning to my opening statement, it is therefore with cynical humor that I watch the ticker symbol of both gold and silver bullion trend lower throughout today's breaking news. This news, no matter what you believe, is overall being heralded as an attack on liberty and the freedom of truth, as it is without a doubt that it was largely politically motivated. Gold and silver which represent the embodiment of free, honest money, should be soaring higher as they watch this government crackdown unfold in real time. 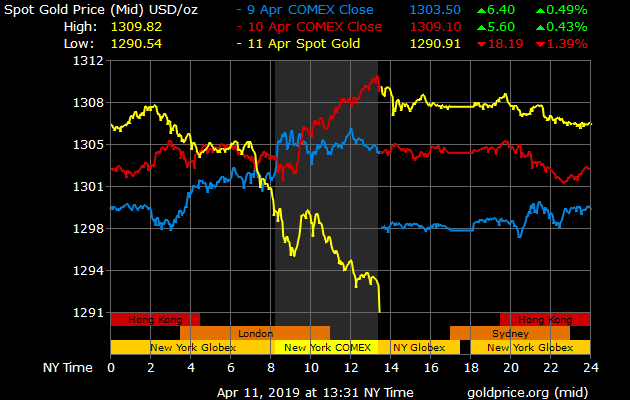 Instead, we have the exact opposite, in which they have both lost important support levels, with gold falling below $1300 USD per ounce, and silver falling below $15 USD per ounce. However, as does truth and liberty always prevail in the end, despite how many setbacks they may face, so too will gold and silver bullion ultimately break free of their restraints and ultimately move higher. 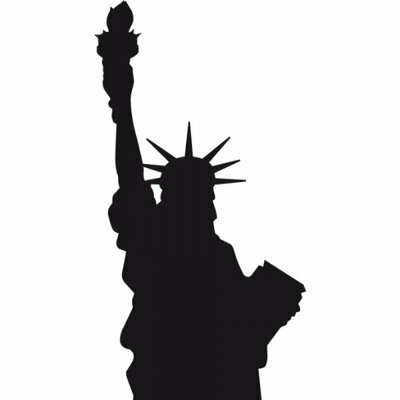 He will likely face extradition to the US, after a sealed indictment against him were accidentally revealed last year. Wikileaks accused Ecuador of illegally terminating Assange's asylum , adding that the Ecuadorian ambassador invited police inside the embassy to take Assange into custody. The expulsion comes just a day after Wikileaks held a press conference accusing Ecuador of carrying out an "extensive spying operation"on Assange and handing intel over to the British and American authorities. Quantitative easing , to take another example, represents a vast inflation of the financial markets and housing, yet Fed officials actually appear in public and talk about the conundrum presented by “low inflation.” The inflation in home prices that occurred during and after the Fed’s purchase of trillions in securities has permanently raised the price of housing in many parts of the country, preventing millions from purchasing homes. 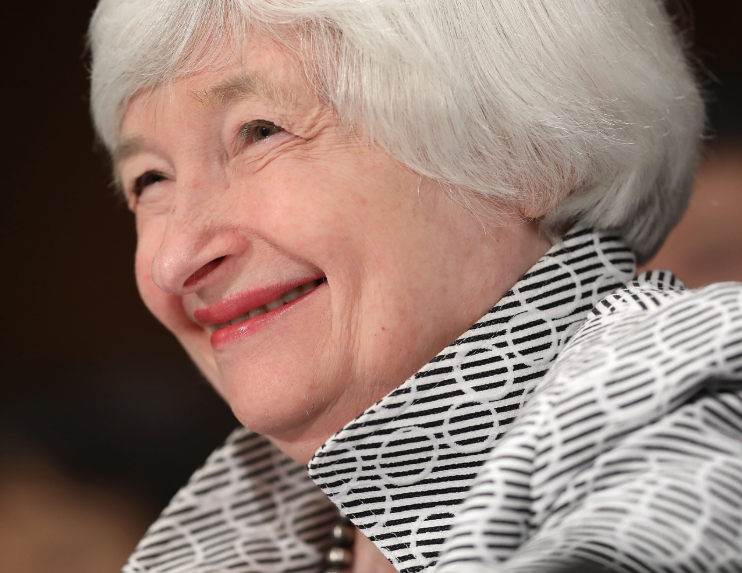 Yellen confesses to be “perplexed” by the dearth of home purchases by young families, but she is the cause of the malady. “It is possible that a garden variety one year recession would blow-up the financial markets. That’s the stuff that they are hearing (in the White House) that is terrifying. There are probably older and wiser people whispering in Trump’s ear who are saying the next equities bear market might be the end of the financial world for us. The trend towards precious metals , most notably gold bullion continues onward, with a recent report from consultancy firm Metals Focus predicting that the world as a whole will consume 4,370 tonnes of gold throughout 2019. This is a very positive development for precious metals advocates indeed, as this would mark the highest level of consumption for the yellow metal since 2015. 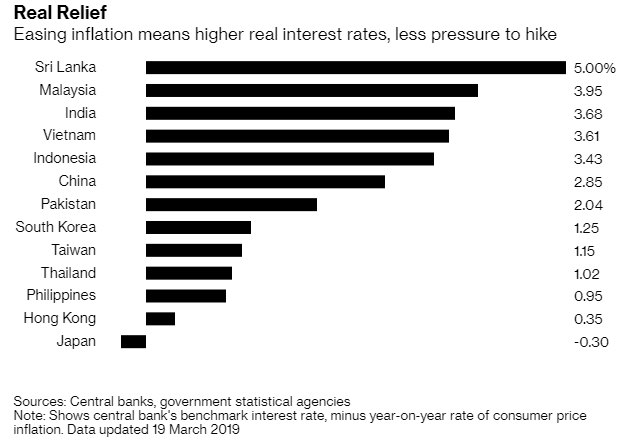 As of late, this trend has been largely driven by eastern central banks, such as Russia, China, Turkey and a few select others, of which I have reported on extensively over the past year. 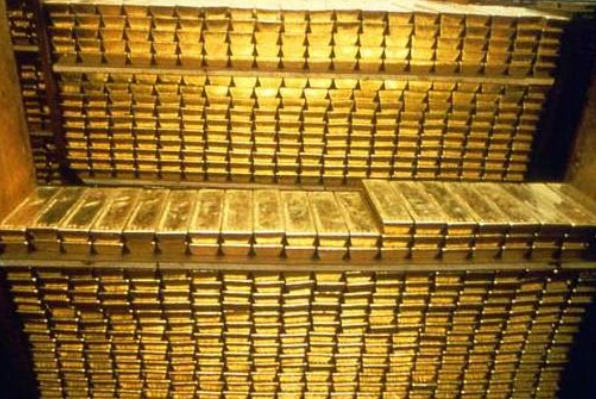 These central banks, that are wise to what is unfolding in the world are going to continue to play a major role in driving the demand for gold bullion higher, however, now as is being reported, consumer demand is returning in a major well, adding yet another pillar of demand. This consumer demand is coming in the form of gold jewelry, of which India and China are heavily buying once again. It is expected that gold jewelry demand will increase by 3% this year in China and 7% in India. These two countries continue to be the largest purchasers of physical gold jewelry, but what many are unaware of is why these countries continue to purchase this asset. In the West, jewelry is often bought as a luxury good, a novelty and not as a form of investment. In countries such as China and India, along with many others, gold bullion in its bar and coin form are of course purchased, but what many may be unaware of is that physical jewelry is a commonly purchased investment asset as well. 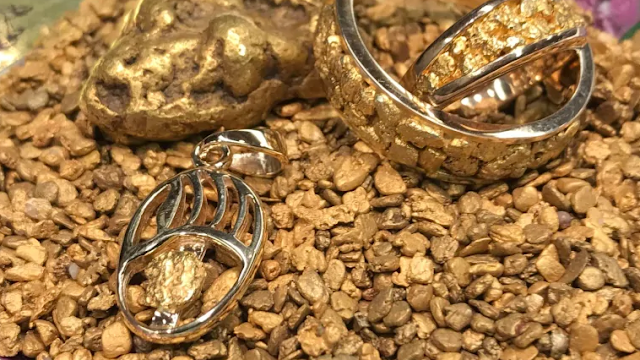 The reasons for this are many, but one thing that is undeniable is the fact that precious metals jewelry is a much more convenient and easier way to move your assets in a time of need, as it can simply be worn by you and your family members. 1) You attempt to board a flight to another country with a stack of gold coins in your possession. 2) You attempt to board a flight wearing a .999 gold necklace. One is considered a fashion accessory in many countries, the other is looked at as money. One is more likely to go unnoticed, the other is highly likely to raise red flags. Both in reality are money, but which is more likely to be confiscated? I think you know the answer. With both central banks and jewelry demand picking up, the last pillar that will ultimately drive gold to new heights is undoubtedly going to come. Investment demand in the West is already picking up among the "smart money" crowd, as they can see the writing on the wall and can see what is coming for the global economy. We stand on the precipice of a major economic global correction, whether it be started by the madness that is erupting in Venezuela, or the chaos that continues to unfold around BREXIT. 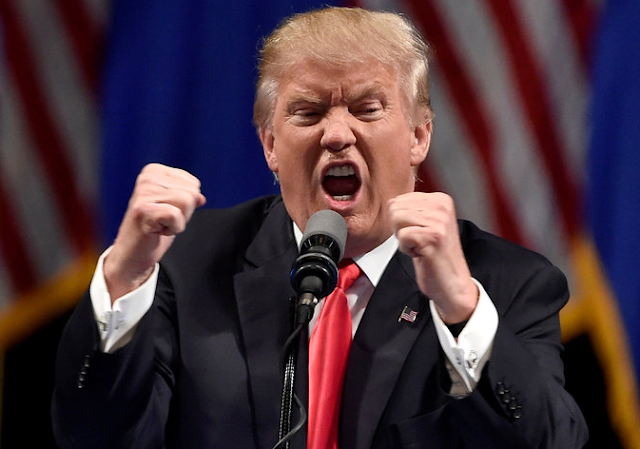 Perhaps it will come from within the United States, as we head into the 2020 election, of which I am predicting to be both bloody and vicious, in both a literal and figurative sense. Total demand for gold bullion is expected to be 4,370 tonnes this year, which is very significant in its own right. However, I believe as we move forward and as things continue to unfold across the globe that this is going to look small in the not too distant future. The trend towards precious metals continues onward. 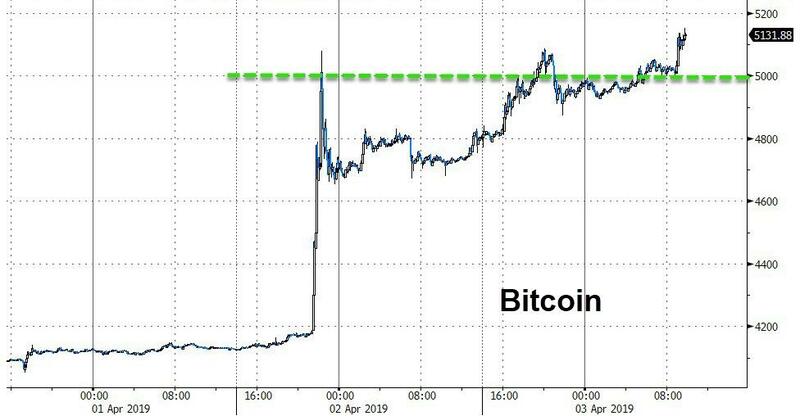 It is only a matter of time before physical demand overwhelms the fraudulent fiat paper gold price markets and breaks free to new highs, leaving these suppressed prices as nothing more than a fleeting memory. There is no hiding the outrageous open borders and baby killing policies of the now far left Democrat party . Journalist Alex Newman says, “The crazy is now coming out of the closet. That’s why they want the open borders. They know they have lost the American people. They are now coming out of the closet with this kookiness. They kill babies, they praise a communist cop killer. We knew this was the Democrat party. We knew that the elites held these crazy views, but the public at large didn’t. Now, they are revealing their true colors. Democrats have now become a threat to the survival of our republic as a free republic. They have become a threat to the survival of our Constitution and our liberties. It’s win or lose right now. That is the situation they are in. If they don’t succeed this time around, I think they realize too many people are going to wake up, and they are going to be in major trouble. So, they are just going for it all the way right now--full stop. It really is a fight to the finish, and I think they are hoping with voter fraud, illegal immigration and brain washing of the kids, they can still pull this off. The reality is people are waking up in huge numbers, and they can’t contain it anymore, even with censorship of the internet. 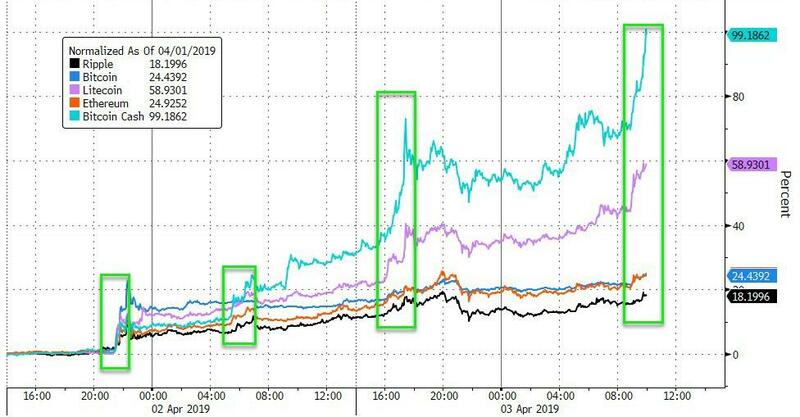 Bitcoin Cash is up over 100% in the last 24 hours, Litecoin up 60% and Bitcoin and Ethereum up 25%. 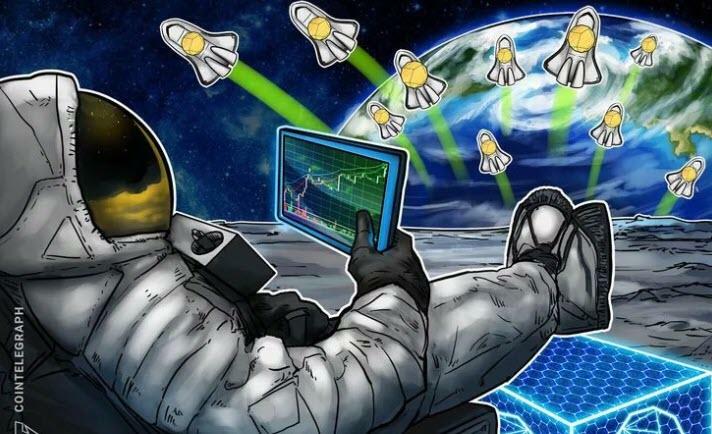 As for other altcoins, CoinTelegraph notes that all major currencies except Maker (MKR) and Tezos (XTZ) are in the green and seeing moderate to visible gains in the last 24 hours. Bitcoin Cash (BCH) has jumped to over $280, showing gains of around 50 percent. Another major winner is Litecoin (LTC), gaining over 20 percent within a day and trading at $84. Dogecoin (DOGE), recently promoted by Tesla’s Elon Musk as his favorite coin, has seen over a 30 percent rise in price following the entrepreneur’s tweet. Danielle discusses why it’s important that people understand the way central bank policies affect their lives. The central bank credit economy is getting worse and worse by the day. More and more people are finding it hard to make ends meet and they are using their credit cards to pay rent and utilities. The White House is calling on the Fed to lower interest rates, right on schedule. 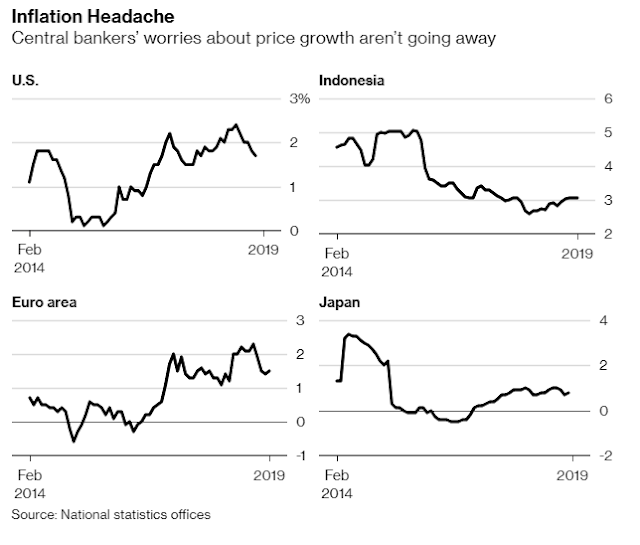 More and more countries are dropping the central bank currency. The deep state plan is to attach the Trump administration to the economy, then bring it down to blame it on Trump, problem is Patriots are in control. As the Western media and political elites continue to be enraptured with the latest "breaking news", deciding best on how to be outraged by it and how to spin it to their advantage in favor of their"team", the East continues to make long term, strategic plans. As I have reported time and time again and as I will continue to report as long as the trend continues on, Russia has once again moved heavily into precious metals, acquiring an additional one million ounces, or 31.1 tons of the yellow metal throughout the month of February 2019. This brings the Russian gold reserves to 2,149 tons, which makes them the fifth largest holder of gold bullion in the entire world and a position that I doubt they will remain for long at this steady rate of accumulation. Wall St and the majority of investors are blissfully ignorant to the rapid and steady accumulation of one of the rarest commodities in the world. A commodity that has served as a linchpin in the financial world for over 10,000 years, including to this present day, despite their claims that it is a "barbarous relic". Foolishly, in the age of fiat money, many have forgotten how vital of a role gold and silver bullion have played throughout our monetary history. Sadly, I believe this is a hard lesson that many are going to have to relearn as economic and geopolitical turmoil once again begins to rear its ugly head in the coming days. Fortunately, even though Wall St and the vast majority of investors could care less about Russia's affinity to gold, Washington may finally be taking notice, after years of being asleep at the wheel. Russia has stated that they see precious metals as a hedge against political risk and the history books confirm this statement. The risk of endless fiat money flooding the system is once again threatening our already fragile system and all it will take to ignite this monetary bonfire is a spark, setting off blazing inflation the likes we have never seen before. The sale is still on, but for how long? The clock is ticking, it is only a matter of time. - When to buy productive land..depending on this crucial personal factor! 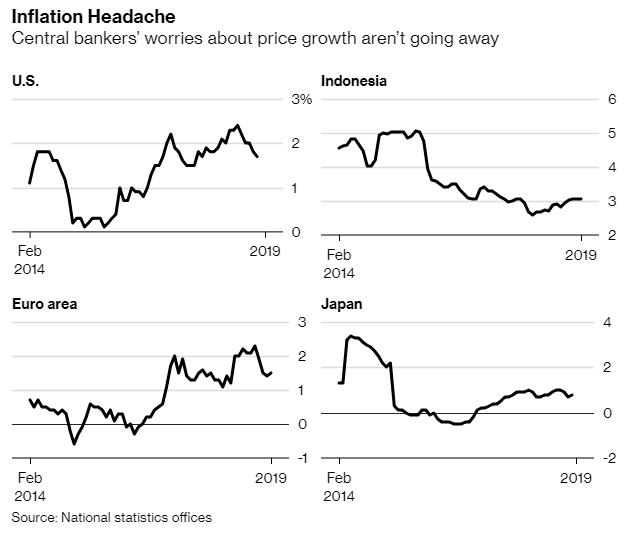 Central banks from the U.S. to Asia are turning dovish as they increasingly fret about getting inflation to pick up in a bruised global economy. After Michelle Obama's former Chief of Staff, Tina Tchen contacted State's Attorney Kim Foxx, however, charges against Smollett were dropped. Prosecutors said that Smollett's debt to society had been paid in the form of $10,000 and 16 hours of community service he had already performed over two days at Rev. Jesse Jackson's human rights coalition. 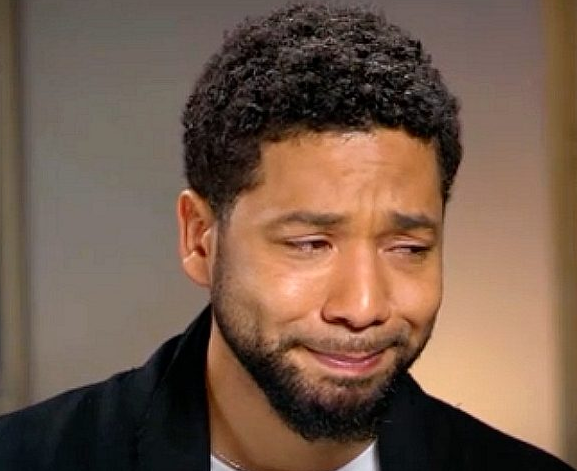 Smollett, meanwhile, maintains his innocence. The sudden dismissal enraged Chicago PD, while drawing a harsh rebuke from Superintendent Eddie Johnson and Mayor Rahm Emanuel - who called it a "whitewash of justice." But many people who should have known better went beyond suspicion and embraced conspiracy. Remember Senator Harry Reid’s explosive letterto James Comey, released just a few days before the election, alleging that the FBI director possessed devastating information about Trump and his campaign’s ties to Russia? Reid did not provide many details. We now know that many of the allegations to which Reid referred echoed an infamous dossier prepared by a former British spy at the behest of an opposition research firm paid by the Democratic Party. Reid wasn’t the only one. Last year the House Intelligence Committee released memos that showed how this dossier was part of the underlying evidence the FBI provided in a surveillance application to a secret court to monitor the communications of Carter Page, a low-level foreign policy adviser to the Trump campaign. Page has not been charged with a crime, and yet his reputation has been trashed after a top-secret warrant for his surveillance was leaked to the media. The dossier set the initial narrative for the Trump administration. After CNN reported that it was included as part of a briefing Comey himself provided to Trump and Obama, Buzzfeed published the whole thing with the helpful caveat that it was not verified and was in places incorrect. The most important takeaway so far of the Mueller probe is that this dossier is garbage. Then there is the matter of Trump’s first national security adviser, Michael Flynn. He was forced from the administration and into a legal nightmareafter his monitored conversations with Russia’s ambassador to Washington leaked a few weeks before Trump’s inauguration. It’s true that Flynn failed to file as a foreign agent for Turkey, a crime that is normally punished with a slap on the wrist. At the time though, the accusation against Flynn was that he was a Russian spy, based on leaked transcripts that are never supposed to see the light of day. How silly do these hyperventilations look today in light of Mueller’s conclusions? What’s more, it’s a scandal that no one has investigated how those transcripts were leaked in the first place. Given that the FBI’s own inspector general found that leaking with impunity is commonplace, the bureau’s agents should at least be among the suspects. Finally, there is that handful of former officials who validated the worst fears of Americans about Trump without ever providing actual evidence. The best example is former CIA Director John Brennan. For the last two years, Brennan has been a frequent guest on cable TV to spread the innuendo that Trump is compromised by Russia. Just this month, he speculated that Mueller would be indicting members of Trump world for criminal conspiracy, even as he insisted he had no “inside knowledge” of Mueller’s deliberations. That last part, at least, turns out to have been true. The saddest part of all of this is that there was a lot of evidence, hiding in plain sight, that could have spared many collusion proponents their embarrassment. Mueller’s indictment of Roger Stone, for example, alleged that Stone was tasked by a senior campaign official to find out what was in the emails that Russia hacked from Wikileaks founder Julian Assange. If the campaign was coordinating with Russia’s influence campaign, why would Stone have needed to go to Wikileaks? There were also the transcripts of interviews before the Senate Judiciary Committee of participants in the June 2016 Trump Tower meetings where Donald Trump Jr. and others in the campaign took a meeting with a Russian lawyer who initially promised dirt on Hillary Clinton. Under oath, those witnesses said nothing came of the offer. And Trump, it should be noted, has appointed Russia hawks at the highest levels. Secretary of State Mike Pompeo, National Security Adviser John Bolton and his predecessor H.R. McMaster, and former Secretary of Defense James Mattis all have long public records when it comes to Russia. If Trump were a Russian stooge, why would he appoint them to such posts? And despite his own baffling sycophancy toward Russian President Putin, Trump has not been weak on Russia in terms of policy. 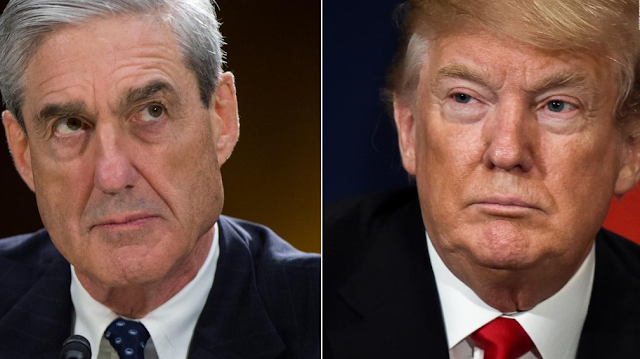 The end of the Mueller probe is more than just a reckoning. It is also a reminder, if anyone needed another one, that the FBI and the intelligence community can be wrong. And it is a powerful illustration of the importance of keeping spies and lawmen out of politics. If there was ever a doubt in your mind that there are laws for "them" and laws for "us", then this recent breaking news will finally shock you out of your day dream. 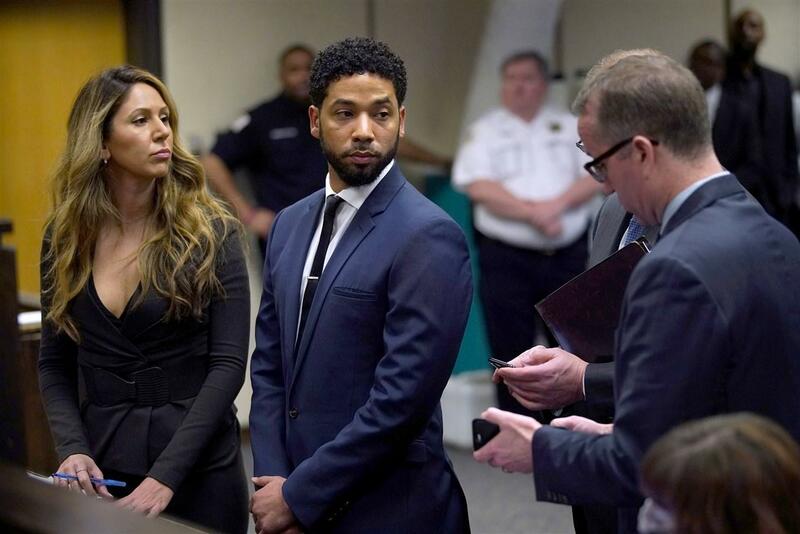 Jussie Smollett is in the clear after the District Attorney in Cook County dropped all charges against the “Empire” star over allegations he lied to police in faking an alleged hate crime against himself. 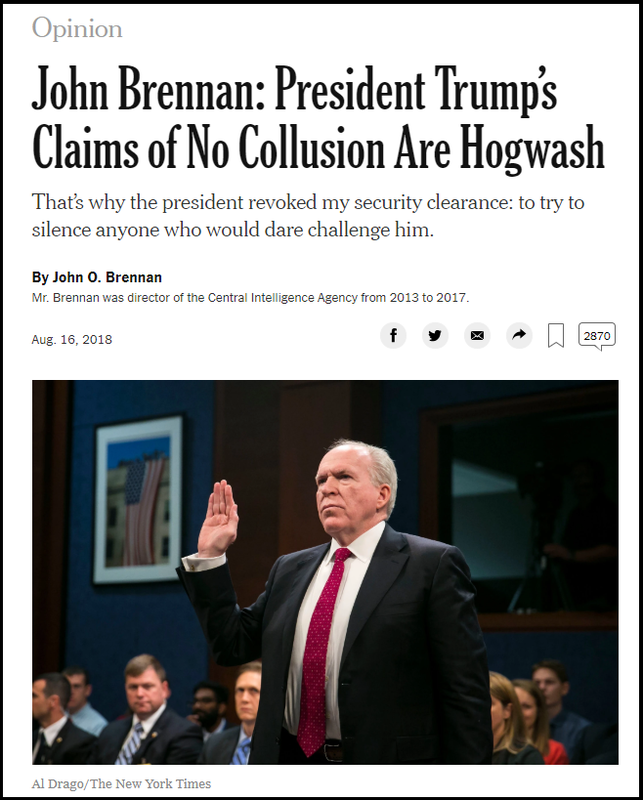 Brennan - the former director of the CIA - was so convinced of Trump's collusion that he penned an angry Op-Ed in the New York Times after his security clearance was revoked, titled: "President Trump’s Claims of No Collusion Are Hogwash." The article starts off with a picture of the very patriotic looking Brennan swearing in before some testimony we're sure was truthful - unless he had bad information of course. Last April - after President Trump called former FBI Director James Comey a "proven LEAKER & LIAR," Brennan dusted off his favorite thesaurus and tweeted "Your kakistocracy is collapsing after its lamentable journey." And less than one year later - Trump has been vindicated of collusion by special counsel Robert Mueller, leaving Brennan mumbling on MSNBC with a stone-face; "Well, I don’t know if I received bad information but I think I suspected there was more than there actually was," adding - with a mouth full of crow "I am relieved that it’s been determined there was not a criminal conspiracy with the Russian government over our election." What was already a bad week for Democrats just got worse. Not only did AG Barr embarrass party leaders like Adam Schiff, as well as their allies in the cable news media, when he revealed that Robert Mueller's nearly two-year investigation into the Trump campaign had turned up zero evidence of collusion between the Trump campaign and Russia, but now, despite a spate of lawsuits and bipartisan resistance in Congress, Trump has received the first tranche of Pentagon funds that will be used to build more than 230 miles of the border wall - helping to fulfill one of his most popular campaign promises. 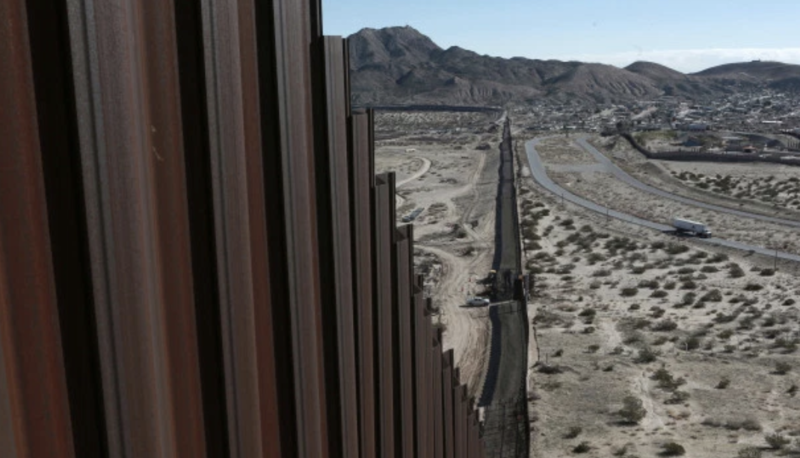 According to CNN, the Pentagon notified Congress Monday night that it had authorized $1 billion to begin construction of a new segment of the wall along the US-Mexico border. The notification elicited a wave of outrage from Democratic lawmakers. The approved money will help build 57 miles of border fencing, improved roads, and other measures. Construction is expected to begin immediately. Pentagon budget reprogramming notification sent to Capitol Hill on Monday and obtained by CNN indicates that up to $1 billion will go toward building 57 miles of fencing, improving roads and other measures on the southern border. The money is part of about $2.5 billion from the Defense Department’s drug-interdiction program authorized by Trump's emergency order. All told, the order reappropriated (Trump's opponents would say 'raided') some $7 billion from various sources, which will instead be used for the wall.